In terms of design, the two smartphones provide a premium looking body with good build quality. The V11 pro comes with plastic frame glass back with gradiant finish and Gorilla Glass 3 protection. It has a 6.41" super AMOLED screen with the Halo fullview display. The resolution is 2340x1080 pixels with 19:9 aspect ratio with 402 PPI pixel density and 85.2% screen to body ratio. 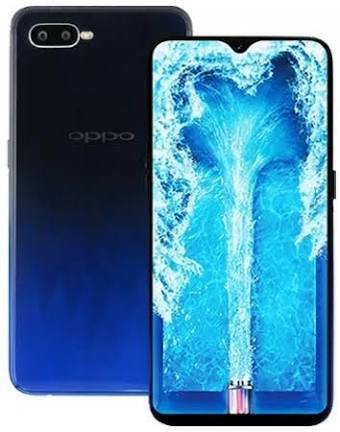 Whereas, the Oppo F9 pro provides a glass back with a pattern, which the company address as the petal design and comes with a 6.23" IPS LCD display with waterdrop notch. Here the resolution is same and the aspect ratio is 19.5:9 and pixel density is 409 PPI with 84% screen to body ratio. It provides the latest Corning Gorilla Glass 6 protection. So, both are good display compared to other phones but V11 had the edge here because of the super AMOLED display. The Vivo V11 this time comes with the Snapdragon 660 chipset, an octa core processor clocked at 2.2 GHz. This is definitely a good upgrade from the V9's sd626. In the other hand, F9 pro includes the same as the predecessor F7, the MediaTek Helio P60 which also is an octa core CPU clocked at 2.0 GHz. Well, both are good processors but V11 gets the edge this time as the better upgrade. In terms of gaming performance, V11 should be offering a better experience as it comes with the Adreno 512 GPU that performs better than the Mali G72MP3, which is offered in the Oppo F9 Pro. This section doesn't need to be defined much as both the Chinese brands are the old horses in this matter. Just for information, Vivo V11 pro features a 12+5 MP dual rear camera setup with f/1.8 and f/2.4 apertures respectively. The Oppo F9 pro features 16+5 MP camera module with the same apertures. In front side they both feature a 25 MP sensor each with f/2.0 aperture and AI options. Here F9 pro gets upgraded as the F7 didn't feature a dual camera option. In the battery section, they both feature average capacitance. The V11 pro sports a 3400 maH and the the F9 pro has a 3500 maH battery. In the charging section the Vivo V11 Pro has the dual engine fast charging option (18W) and the Oppo F9 Pro comes with the VOOC Flash charge option(20W). So here the choice is quite tough. The Vivo V11 Pro here comes with its unique feature which is the Under Display Fingerprint Sensor, which makes it special. Though it is not as fast as the capacitive ones but those who prefer the finger sensor in the front side and want a fullview display they will be happy. F9 Pro have the fingerprint sensor but in its usual position, the rear side. 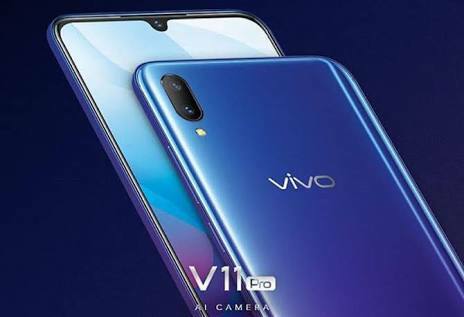 The Vivo V11 Pro comes with only one Ram and two storage option, 6 GB of Ram and 64/128 GB storage option along with three colour options, the Golden yellow, Neon Purple and the Stream Blue. The price starts from 25,990/-INR. While the F9 Pro comes with two Ram variants. 4 GB named as F9 and 6 GB named as F9 Pro. Both have the storage option of 64 GB. The color options available are Sunrise Red, Twilight Blue and Starry Purple.The price of the F9 in India is 19,990/- and F9 Pro is 23,990/- INR. After looking all the features provided by the brands, the Vivo V11 Pro is definitely a good upgrade to the V9 users with a super AMOLED screen and the faster processing speed. But the F9 Pro only have the upgrade in the camera section. But both of them are good phones with respect to their price.